What You Need to Know for Your Home and Auto Insurance Renewal - Lanes Insurance Inc.
Every year, your insurance provider is obligated by law to send you a renewal notice at least 30 days before your policy is set to expire. While a lot of people simply take this as a cue to re-up on their existing home or auto insurance policies, your annual renewal period is actually a great time to sit down and do a thorough review of your coverage. This is doubly important if your personal situation has changed in a noteworthy way over the past year. Should You Renew or Change Carriers? Come auto and home insurance renewal time, the first thing you should be aware of is this: if you take no action after receiving your notice, your current policy will automatically be renewed. That means the terms and conditions, coverage limits, exceptions, qualified perils, and all other technicalities will remain identical. 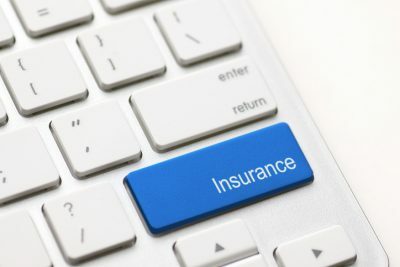 It’s important to note, however, that due to catastrophic occurrences in Alberta such as record hail storms, the Fort McMurray fire and the 2013 floods, insurance providers have had no choice but to raise premiums to help meet the cost of claims. Extreme weather incidences show no signs of slowing, and so unfortunately this trend could continue. However, even though an automatic renewal is the easiest thing to do, it may not necessarily be the right thing to do. If you have the opportunity to get a similar or identical policy from another carrier for a better price, or if you want to expand or roll back on your coverage level, you should certainly take the chance to consider your other options. Your coverage needs to reflect these changes. Otherwise, you might find yourself in a bind if you need to file a claim, as your current policy may no longer be adequate. Have you added new personal or recreational vehicles to your policy? Have you added or will you be adding other drivers to your policy in the upcoming year? Has your license been suspended, or have you been fined or convicted of an offence under the Highway Traffic Act? These changes will affect your premiums, and in such situations, it’s always a good idea to shop around to see if there’s a better deal available. Use these tips to guide your search for a new policy. Did Your Insurer Cancel Your Policy? Insurance companies will sometimes notify you that they have elected to discontinue your coverage rather than automatically renew it. This tends to happen if you’ve made an unusually high number of claims since your last renewal, or if you’ve experienced incidents that have caused your insurance provider to reassess your risk profile. Your policy may also be terminated if you’ve failed to pay your premiums. In such cases, you’ll have to find a new provider. It’s also likely that you’ll have little option but to pay more for comparable coverage. With both home and auto insurance, the simplest way to reduce your premiums is to increase your deductible. While this does expose you to a little more risk, it may be worth it if it’s the only way you can afford a policy that provides you with the level of protection you need. Drivers can also keep their auto insurance premiums low by building up a proven safety record. Avoid traffic offences that result in demerit points, never drive distracted or under the influence of drugs or alcohol, and invest in a car alarm. New drivers can also qualify for lower rates by attending an accredited traffic safety school. Finally, check to see if you qualify for any of these discounts, keeping in mind that insurers rarely offer them automatically. Call and ask! Lane’s Insurance is an Alberta-based brokerage that partners with the province’s most trusted carriers. Our team is here to help if you have questions about your auto or home coverage or need assistance come renewal time.